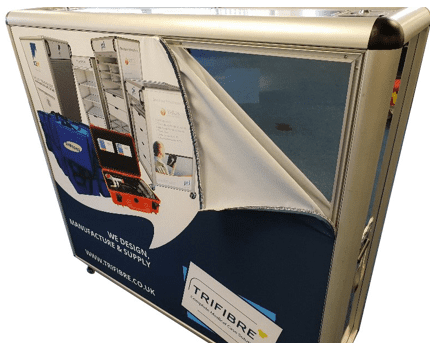 Trifibre were pleased to be asked to manufacture a flight case style portable program kiosk for a valued customer. Having made hundreds of similar kiosks for a certain London event back in 2012 the success of those flight case kiosks sparked further interest. 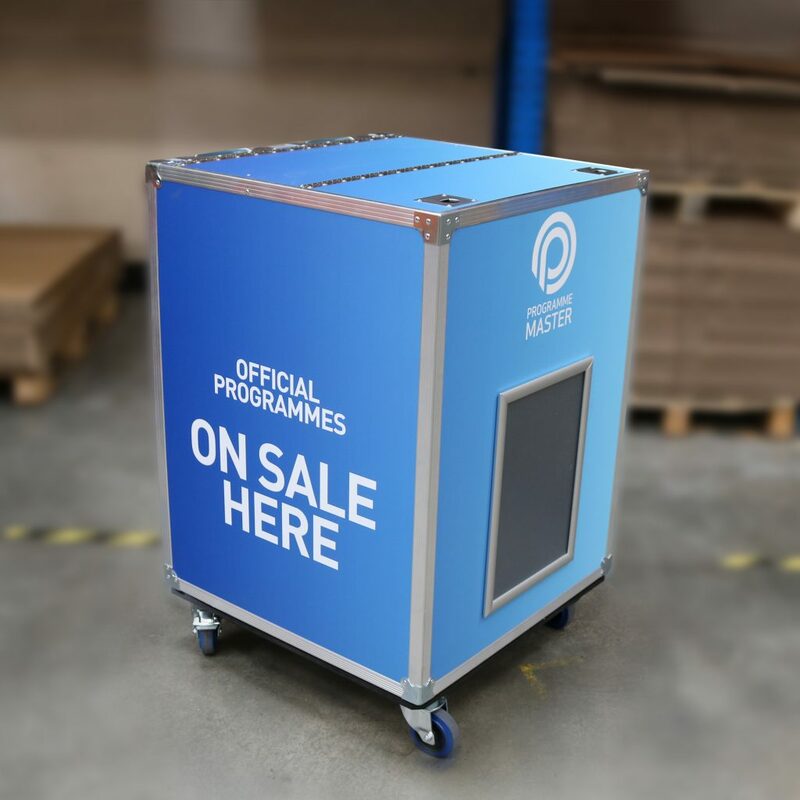 The latest iteration of these custom flight case kiosks will be used to sell programmes at professional sports events including Tennis and Darts competitions. The custom flight case program kiosks feature integrated corner handles, braked castors, a double hinged flush lid, digitally printed graphics and a front mounted poster snap frame. Further features can be added to these kiosks to include interchangeable digitally printed textile graphics and side mounted parasol brackets. Trifibre are proud to have recently been enlisted to design and manufacture custom padded bags with CNC routed foam inserts to assist with security control at high profile events. 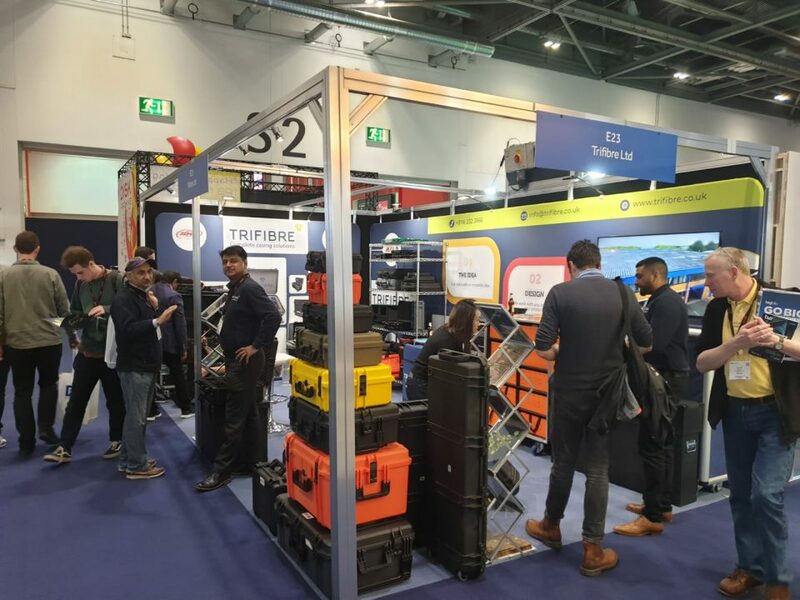 2 designs were created for the Met Police, one to transport mobile metal detection units and a larger bag to contain upright scanners for event attendees to walk through. 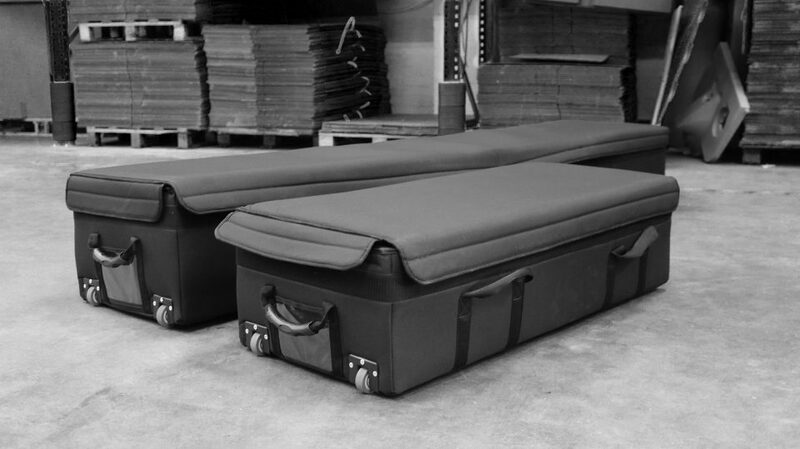 Each bag was manufactured using 5mm black padded poly lined with a 7mm lightweight stiffener. They have features including pvc document pockets, heavy duty drag wheels and rubber handles. The interior of each bag is fitted with a custom cnc routed LD33 high density foam to provide full protection whilst the units are being transported within the padded bags. Interchangeable graphics now available on all Trifibre Flight Cases Using our in house Large format printing machines we can now offer this fantastic soultion on any flight case bought from Trifibre. The fabric graphic is removable to protect it during shipping, and is machine washable so you can use it time and time again. The graphic can also be easily removed or replaced. So you can update and replace your graphic inexpensively and at any time to suit your requirements. All without compromising the case construction. 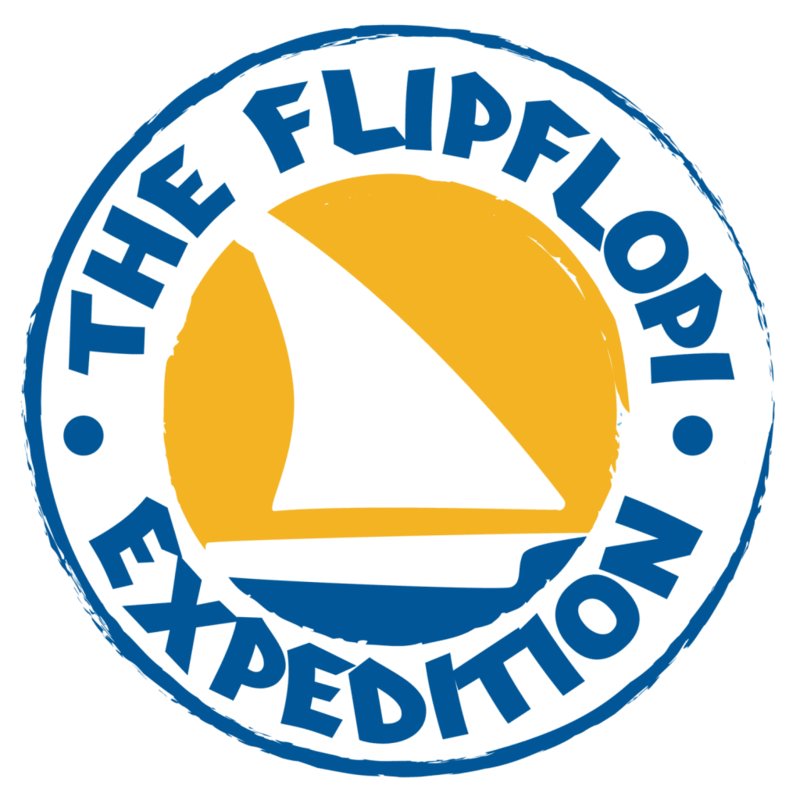 This solution is an ideal way to market your business and its products by making additional use of the fantastic flight cases you have bought to ship them! Enquire with our sales team today. New Trifibre SKB cases UK website Launching Soon!